Here at Vignette Savannah we’re all about decor, design, creativity, and inspiration. Any holiday brings out the best in all four, and we’re happy to bring you photos of festive decor we’ve been seeing around the city. This year was the inaugural year of Holidays on Broughton, a series of festivities that took place on Broughton Street leading up to the week before Christmas. Sure to make your shopping experience every bit as magical and special as the season promises, a huge Christmas tree on the corner of Broughton and Bull was center stage for carolers, music, art projections, and of course, Santa Claus. If you were around the Saturday before last, you probably got to see the Marine Corps Band play a few of your favorite holiday tunes! While activities commence outside, we’ve seen some creative and delightfully unconventional holiday decorations on display inside some of our favorite stores! Check out this impressive wreath made of Magnolia leaves hanging from the ceiling in the center of The Paris Market! Downstairs in the basement, there’s more to see to make you feel as if you’re in a wonderland. If you make a quick run to pick up some Key Lime Coolers at Byrd’s Famous Cookies, you’ll not only find beautiful white snowflakes that contrast the rustic decor, but also disco balls hanging from the ceiling! Further south, Foxy Loxy has the cozy holiday feel that’s best enjoyed while sipping your horchata latte or Mexican hot chocolate. Stockings hang on the hearth with a message of peace and a gold Christmas tree complements the Texas-esque, western atmosphere for which Foxy Loxy is known. 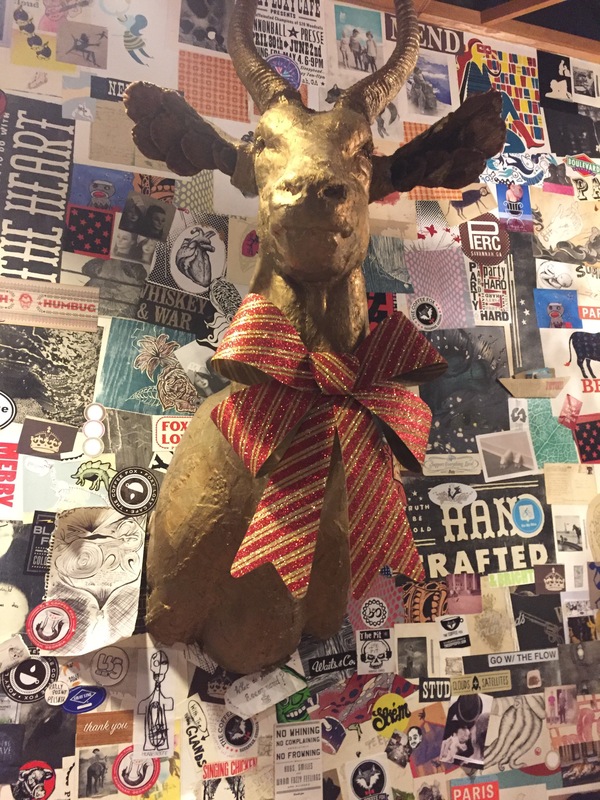 Back on Broughton Street, you’ll love this “bow” tie of holiday cheer on the golden buck at Foxy Loxy’s sister coffee shop, The Coffee Fox. Holidays On Broughton officially concluded on Saturday, December 17, but no worries! You can track all the fun with their official hashtag, #HolidaysOnBroughton! What are you loving about Savannah during the holidays? 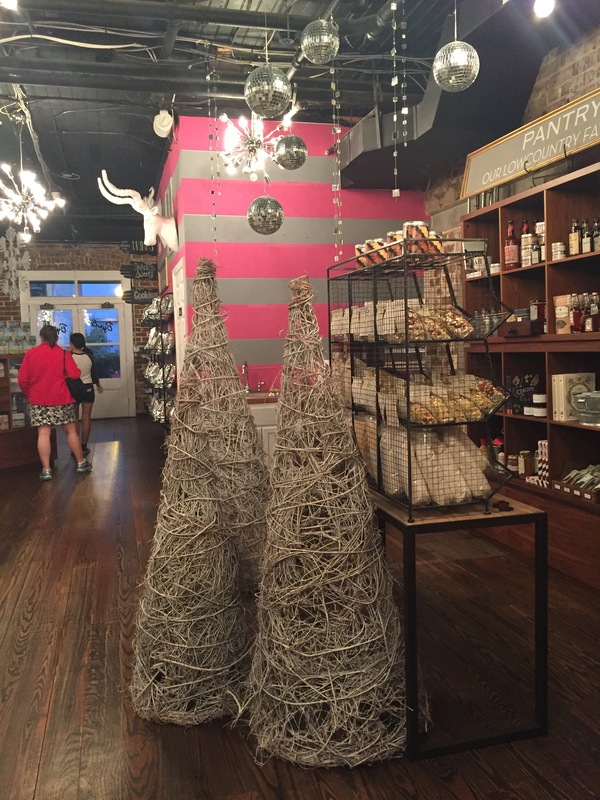 Follow us on Instagram and tag #vignetteSav as you snap your favorite decor shots around town!